6:00 pm to 7:00 pm. 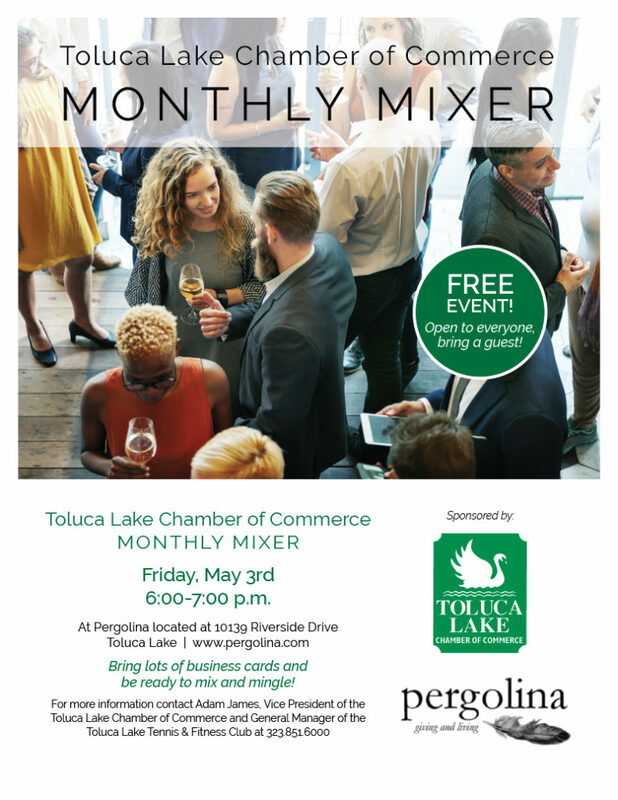 Bring lots of business cards and be prepared to meet fellow Chamber members! Let us know if you would like to host a mixer at your location. Next PostNext The Toluca Lake Business Directory is Here! The Toluca Lake Business Directory is Here! Copyright © 2019 Toluca Lake Chamber of Commerce. All Rights Reserved.